1. Time management. My editor mentioned this one recently as well. So I do need to be more productive. I did learn about chunking my writing so this is good. But I do have a tendency to be scattered and I need to focus more on the things that earn me money when I am working. And when I am not working, I need to be there for my family. So certain things like some social networking is going to take a backseat for awhile. 2. Weight management -- my weight is finally going in the right direction. I discovered that eating starches do nothing for me. After the holidays, it is back to the diet and increasing the exercise. I liked throwing out fat pants! I would like to throw out more! 3. Improving my writing -- this is a mixed bag. I still get the same remarks from the editors...up the emotion, focus on the relationship, more sensuality etc. I also need to respect my process rather than going and searching for something new every time. I am talking to my editor in the new year and have several ideas on how I can proceed and what I want to write. Sometimes you do try things that don't quite work as well as they should. It is about understanding my writing and how I work. Working smarter rather than harder. Currently I am suffering from a bad cold and some things are going by the by until I am well! Chapter 7 of His Stand In Bride -- The seduction is up. You can read it here. Hopefully everyone had a great Christmas. Mine was quiet but good. However, the annual ritual of someone is ill has struck and we have been laid low by a cold/flu thing. I blame my youngest. The Times published a series of Victorian jokes this morning including What you think about the woman with a past? Answer At Christmas, she is most likely to be won by a man with a present. It raised a smile here. I hope everyone has a lovely Christmas and many thanks for reading my blog this year. Amy Lam wins Breaking the Governess Rules. My next newsletter goes out in the new year. Chapter Six of His Stand In Bride can be read here. Anne and Jason have left the wedding breakfast but each has their own idea of how the marriage will go. Today is also my day to the Harlequin Historical Advent Calendar. You can see the full instructions on my website. Email contest@michellestyles.co.uk with the answer to What book is Diana Clare reading at the start of A Question of Impropriety. It is the third and final volume of... You can read the excerpt here. The draw takes place on 22 December. All entries go forward to the grand prize draw of the kindle 3-g. It snowed in the night and so I shall be digging out the car. Christmas is coming and last minute things need to be done. It is hard to believe but we have had Heathcliff and Mr Darcy for a year. They have grown from tiny balls of fluff to cats with personality. Heathcliff is the cat most apt to edit my work. He comes and sits between me and the key board in over purr mode. In the evnings Heathcliff becomes Heat cliff and curls up by the fire. One hard glare from him and the dogs move over. Mr Darcy is sleeker and elgant than his fluffy brother. He is far more likely to boss the dogs about and has no hestiation about nicking food from either Tess or Hardy. I suspect the collies know the size of his claws. They are both the alpha males in the pack. Yes it is that time of the week so Chapter 5 of His Stand In Bride is up.It is during the wedding breakfast and how is Anne going to cope with people asking where Cressy is? For me, it is interesting to read the chapters as the last time I saw them, they were marked up with track changes and all the editorial notations. So I was a bit nervous about this chapter but it seems to read all right. Giveaway ends December 23, 2010. 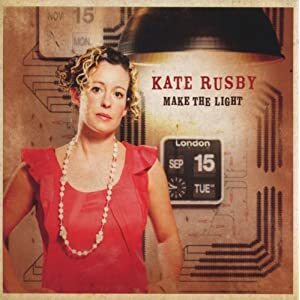 Last night, my daughter and I went to Kate Rusby's Christmas concert at the Sage, Gateshead. It was a joyous occasion and Rusby's voice rang out. Although we got her Sweet Bells Christmas album when it first came out in 2008, I hadn't really appreciated where her songs came from. Apparently in South Yorkshire there remains a tradition of carol singing or wassailing in pubs. The words might be familiar but the tunes aren't. Personally I preferred some of Kate's tunes. Sweet Bells (While Shepherds Watched their Flocks) is a song that gets in your head in a good way. It is now officially my youngest son's favourite carol ever. The other joy of joys was that Kate has a new album out. As she explained, she should have had one out in Sept 09, but had baby instead. Her new husband is an accomplished musician and joined her on stage. The first song she sang from the album --Walk the Road had my daughter mouthing at me that this was a perfect song for my heroine. I agreed. Anyway, the songs she sang sound like vintage Kate, even though she has changed her musicians a bit (see above). Kate did explain that her carols do mention Jesus but not Rudolph. Apparently at an earlier concert, someone had complained. As she explained -- she rather thought that Jesus in the manger was the whole point of Christmas and she made no apologies for singing traditional carols. When she was on Songs of Praise, someone objected to the fact that she dared to show her knees on the show. Emailing in capital letters to complain. Otherwise, apparently people liked. She pointed out that last night her knees were covered. My very lovely editor was super quick and sent me her thoughts before she went on holiday. They are mostly tweaks and one scene/chapter that needs to be reimagined.When I attempted to complain to my daughter, my daughter (dedicated romance reader and supportor of editors that she is) said -- oh good, I never liked that bit. I am glad you are going to have to change it! So it is back to the drawing board to get the revisions done before my editor returns. It will be stronger. It can be done. I now know how things don't work. Kate Walker's 12 Point Guide to Writing Romance is one of the books that I always recommend to aspiring writers of series romance. The new edition provides up to date advice on writing for all of the series. Kate walker covers things like writing with emotion, the importance of the question why. Each chapter finishes with 12 questions to make you think deeper. If you want to write series romance, you need to read this book. It really is as simple as that. You can get it from Amazon or Book Depository. Make sure it is the 3rd edition. I turned in my revised full yesterday so it is back to wiaitng to see what my editor thinks. I need to get on with the next one etc etc. Chapter 4 aka the wedding is up at eharlequin. I enjoyed writing the chapter. Although many years an agent once said to me that weddings should be uncomfortable and cause tension unless they are part of the HEA. They need to do something more than simply be a wedding. Words I have taken to heart. It is Deb Marlowe's turn with the Harlequin Historical advent calendar. Her latest How to Marry a Rake sounds fab. My revisions should go into today. I am doing a last read over. Something that one of my editor taught me as I tend to miss words etc, and right on cue, I find I have. ARGH! Today I am at Unusual Historical talking about my latest releases on both sides of the Atlantic and all 3 books are up for grabs. It is open to anyone around the world, void where prohibited. Still working on the final touches of my revisions. They go in before my editor gets into work tomorrow! The snow and ice remains. Normal service will resume soonish. The Harlequin Historical Author Calendar Giveaway starts today with a grand prize of a Kindle 3-g. Visit Lynna Banning to enter her contest for 2 signed books and chocolates. Impoverished Miss Convenient Wife is on sale today at eharlequin. It won the Cataromance Mills and Boon historical of the year 2009. My newsletter will go out at the weekend. It will have details on how to win a copy of my new hardback Breaking the Governess's Rules (out as hardback in January and paperback in March) as well as the latest edition of Kate Walker's 12 Point Guide to Writing Romance. Kate kindly sent me a copy and I want to reward my newsletter subscribers. Still snowed in. And working on my revisions. They will be done by 3 December and I have discovered lots about the book. Reading SEP while keeping her workshop in mind has been a great help and has provided a lot of insight as well as hugely enjoyable reading.